One of the many houses that can be found on the St Croix River. 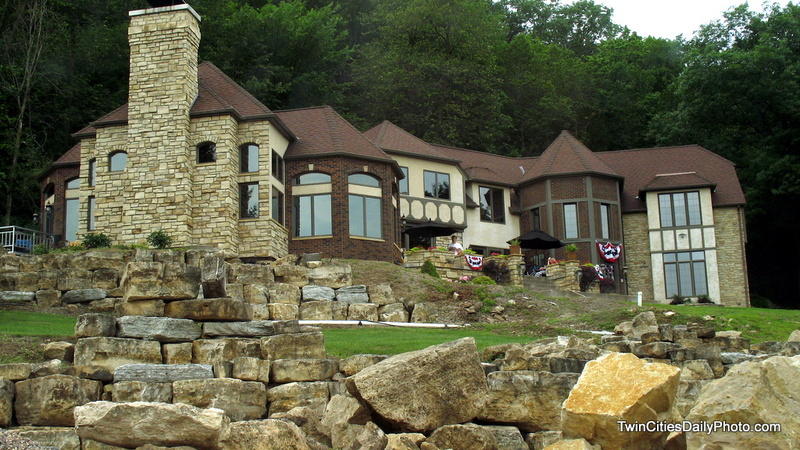 But its stonework is gorgeous! Incredibly beautiful. Love the St. Croix River. Pretty large house and lucky to be situated on the St. Croix, which I think is one of the most beautiful rivers in the world! I'd be happy to have a hut on one of those spectacular bluffs above the flowing river. Sigh!